We have the perfect gift for that special someone on your list who believes in Fairies! Do you believe in fairies? Do you know someone who does? Maybe someone special has been your own personal Fairy Godmother! Whatever you choose, know that our talented artists will create a gift worthy of an angel! 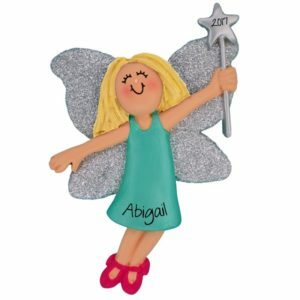 Personalized Ornaments For You has several of these fantastical, magical creatures from which to choose. Some with a touch of whimsy, others aloft on gossamer wings, our fairies can adorn a Birthday gift box, a tea party table, or Christmas tree. 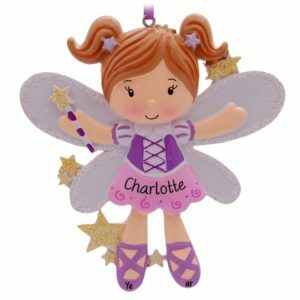 With the addition the recipient’s name and year, or perhaps a small sentiment, your special fairy lover will be delighted and enchanted by this special keepsake.